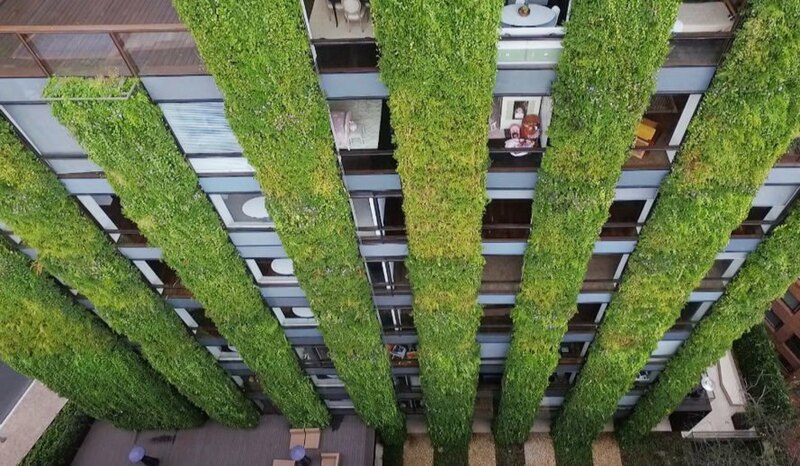 Behold: the largest vertical garden in the world. 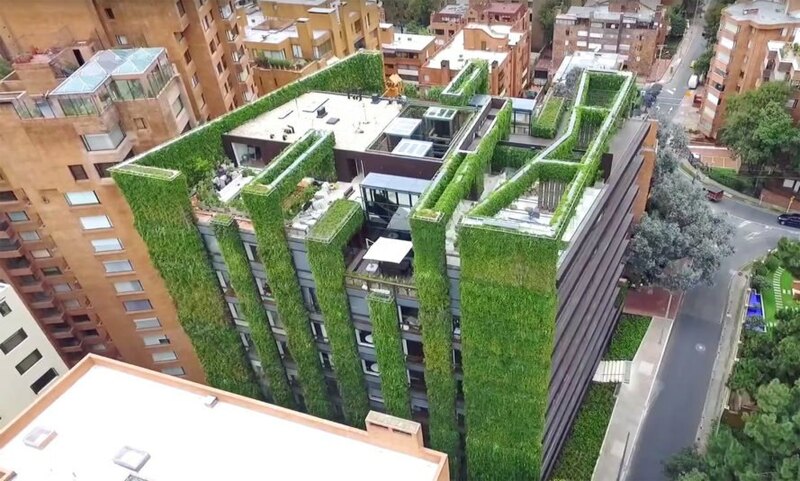 Located in Bogota, Colombia, the Santalaia building is completely covered with a lush layer of 85,000 plants that span 3,100 square meters (33,368 square feet). 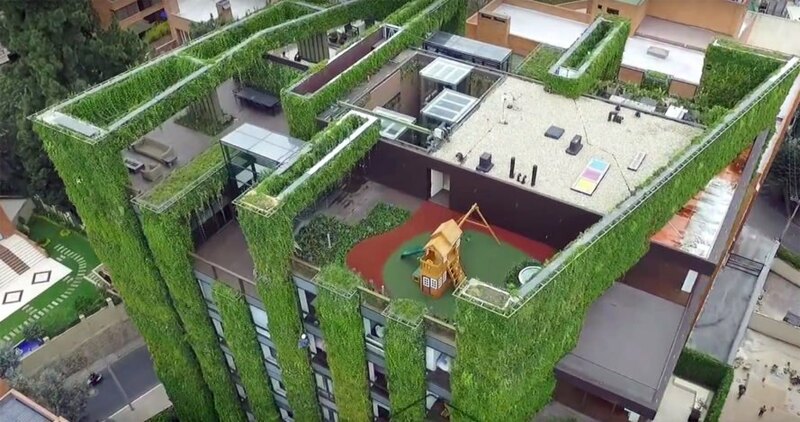 A vertical garden of this size can produce enough oxygen for more than 3,100 people every year, process 1,708 pounds of heavy metals, filter more than 2,000 tons of harmful gases and catch more than 881 pounds of dust. 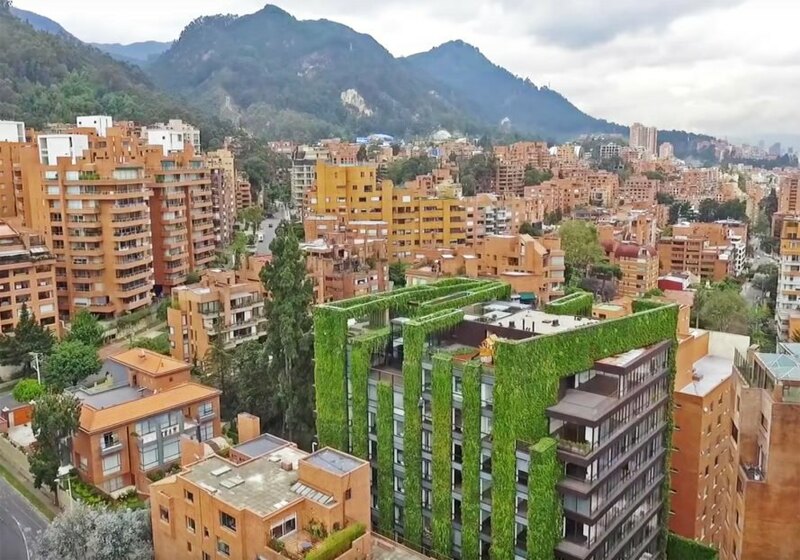 The record-setting vertical garden in Bogota was completed in 2015 after over a year of planning. 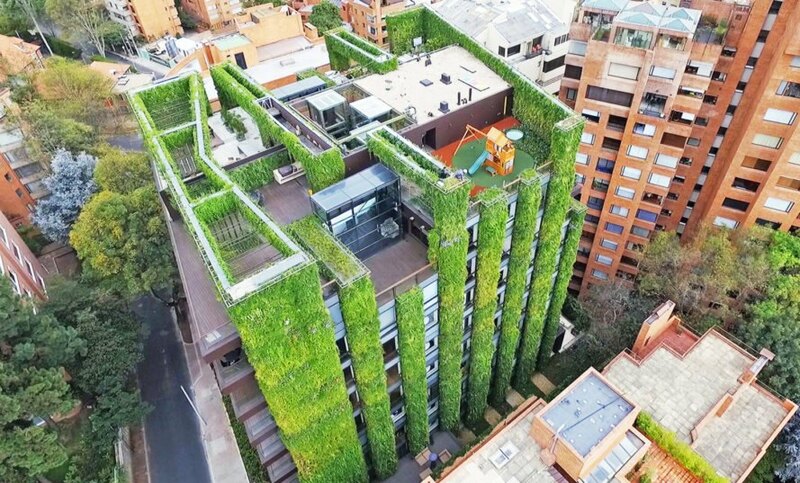 Paisajismo Urbano‘s Colombia-based franchise Groncol designed and installed the vertical garden using the innovative F+P system, patented by Ignacio Solano. This system is based on a series of pillars – each with its own vegetal cover – installed vertically over the facade. Various endemic species were included in the design of the vertical garden to boost biodiversity. 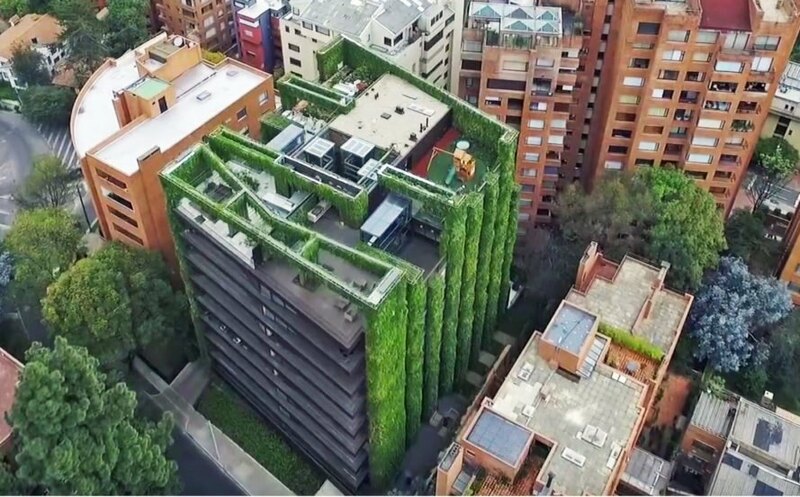 The record-setting vertical garden in Bogota was completed in 2015 after over a year of planning. Paisajismo Urbano's Colombia-based franchise Groncol designed and installed the vertical garden using the innovative F+P system, patented by Ignacio Solano. This system is based on a series of pillars - each with its own vegetal cover - installed vertically over the facade. Various endemic species were included in the design of the vertical garden to boost biodiversity.